Studio 5, the new creative workspace on the Bristol harbourside has desk space to rent. 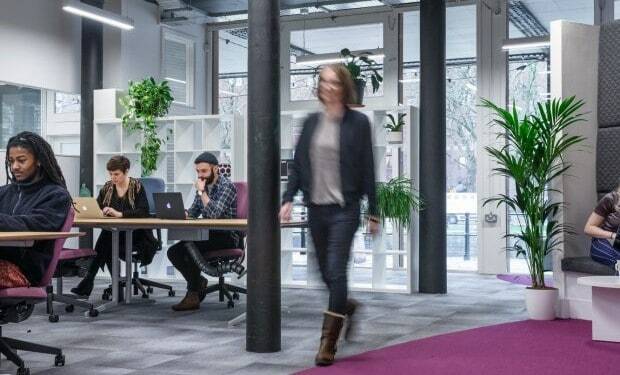 Watershed‘s new space is designed for creative companies, with half of the 32-desk space set to become home to individuals and companies taking part in Bristol and Bath Creative R&D. The creative R&D project is a new £6.8m collaboration between Watershed, UWE Bristol, Bath Spa University, the University of Bath and the University of Bristol – which gives potential desk users a unique opportunity to house themselves at the centre of a distinct creative community. Much like Watershed’s established Pervasive Media Studio (PMS), residents will be encouraged to share, collaborate and communicate with the community of both Studio 5 and the PMS. Bristol and Bath Creative R&D will receive a multi million pound investment from the Arts and Humanities Research Council’s Creative Industries Clusters Programme, to support, connect and amplify the brilliant strengths of the region. Part of the Government’s Industrial Strategy, the investment was awarded to Bristol and Bath after the region was identified by the Bazalgette Report as one of three regions outside London to have international growth potential. Clare Reddington, Industry Co-Director and CEO of Watershed says, “By forefronting inclusive innovation models, we are excited about the difference this funding will enable us to make. You only need to look to Silicon Valley to see how innovation clusters can produce social inequality and monocultural products. By giving prominence to the value and dividend of connectivity over output we will challenge and change the way our cluster’s success is shared”. Interested in a desk at Studio 5? Find out more from Watershed.